Dr. Maggie Wang obtained her Bachelor degree (honor) in Physics of the Hong Kong University of Science and Technology (HKUST), and her Doctor in Philosophy degree in Statistics from ISOM department of the HKUST. 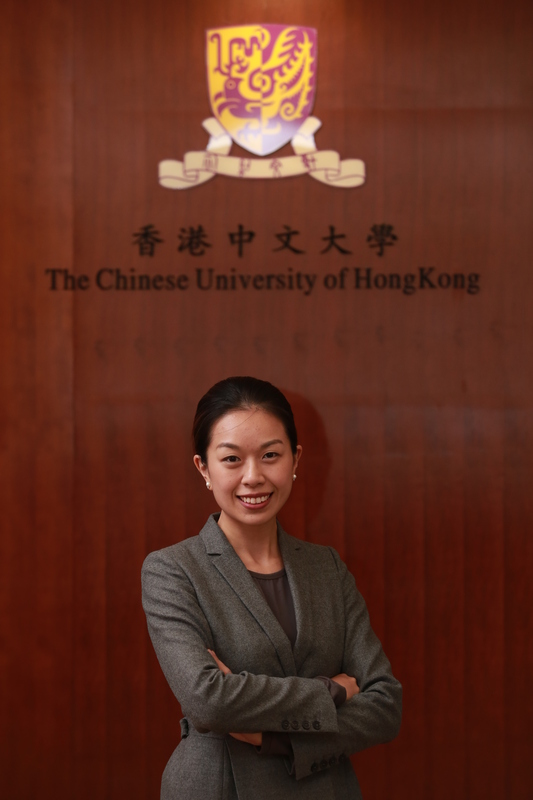 She joined the Chinese University of Hong Kong as a Research Assistant Professor in 2011. Since 2015 she is an Assistant Professor in the JC School of Public Health and Primary Care. Dr. Wang is awarded the SH Ho Visiting Professorship Exchange Programme to Stanford University in 2016. She is the Principle Investigator of multiple research grants including the Hong Kong RGC-GRF, and the National Science Foundation of China (NSFC) Projects. She is a member of the Centre for Clinical Research and Biostatistics (CCRB), and the Assistant Director of the Msc program of Epidemiology and Biostatistics. “Genetic Test, Risk Prediction Model, and Genetic Counselling”, with Haoyi Weng, Book Title: Translational Informatics in Smart Healthcare, Springer, 2016. To appear. Ka Chun Chong, Chi Zhang, Benny Chung Ying Zee, Tongyong Luo, Lei Wang, Greta Chun Huen Tam, Katherine Min Jia, Riyang Sun, Maggie Haitian Wang*, Xuhua Guan (2017) Interpreting the transmissibility of measles in two different post periods of supplementary immunization activities in Hubei, China. Vaccine. Accepted. Marc Ka Chun Chong, Benny Chung Ying Zee, Maggie Haitian Wang* (2017) A statistical method utilizing information of imported cases to estimate the transmissibility for an influenza pandemic. BMC Medical Research Methodology. Accepted. Ruoting Men, Maoyao Wen, Mingyue Zhao, Xuelian Dan, Zongze Yang, Wenchao Wu, Maggie Haitian Wang, Xiaojing Liu, Li Yang (2017) MircoRNA-145 promotes activation of hepatic stellate cells via targeting krüppel-like factor 4. Scientific Reports. Accepted. Maggie Haitian Wang*+, Rui Sun+, Junfeng Guo, Haoyi Weng, Jack Lee, Inchi Hu, Pak Sham and Benny C.Y. Zee* (2016). A fast and powerful W-test for pairwise epistasis testing. Nucleic Acids Research. doi:10.1093/nar/gkw347. Rui Sun, Haoyi Weng, Inchi Hu, Junfeng Guo, William K.K. Wu, Benny Chung-Ying Zee, Maggie Haitian Wang* (2016) A W-test collapsing method for rare variant association testing in exome sequencing data. Genetic Epidemiology. DOI: 10.1002/gepi.22000. Maggie Haitian Wang+, Ka Chun Chong+, Hau Yin Chung, Malina Storer, John Pickering, Zoltan Endre, Steven Lau, Chloe Kwok, Maria Lai, Benny Zee (2016). Use of a Least Absolute Shrinkage and Selection Operator (LASSO) Model to Selected Ion Flow Tube Mass Spectrometry (SIFT-MS) Analysis of Exhaled Breath to Predict the Efficacy of Dialysis. Journal of Breath Research 10 (2016) 046004. Yaqing He, Linjie Zou, Marc Chong, Ruoting Men, Wenbo Xu, Hong Yang, Xiangjie Yao, Long Chen, Huixia Xian, Hailong Zhang, Min Luo, Jinquan Cheng, Hanwu Ma, Qianjin Feng, Yun Huang, Yujie Wang, Eng-kiong Yeoh, Benny Zee, Yuanping Zhou, Ming-Liang He and Maggie Haitian Wang* (2016) Genetic Evolution of Human Enterovirus A71 Subgenotype C4 in Shenzhen, China, 1998-2013. Journal of Infection. doi:10.1016/j.jinf.2016.03.014. Chunli Wu+, Maggie Haitian Wang+, Xing Lu, Ka Chun Chong, Jason He, Chun-Yip Yau, Mark Hui, Xiaowen Cheng, Li Yang, Benny Chung-Ying Zee, Renli Zhang, and Ming-Liang He (2016) Concurrent epidemics of influenza A/H3N2 and A/H1N1pdm in Southern China: a serial cross-sectional study. Journal of Infection. 2016 Mar; 72(3):369-76. doi: 10.1016/j.jinf.2015.12.013. Epub 2015 Dec 30. Ho J, Yu J, Wong SH, Zhang L, Liu X, Wong WT, Leung CCH, Choi G, Wang MH, Gin T, Chan MTV*, Wu WKK* (2016) Autophagy in sepsis: Degradation into exhaustion? Autophagy. Wu WKK, Li X, Wang X, Dai RZW, Cheng ASL, Wang MHT, Kwong T, Chow TC, Yu J, Chan MTV, Wong SH (2016). Oncogenes without a neighboring tumor-suppressor gene are more prone to amplification. Molecular Biology and Evolution. Jeffery Ho, Hung Chan, Sunny H. Wong, Maggie H. T. Wang, Jun Yu, Zhangang Xiao, Xiaodong Liu, Gordon Choi, Czarina C. H. Leung, Wai T. Wong, Zheng Li, Tony Gin, Matthew T. V. Chan and William K. K. Wu (2016) The involvement of regulatory non-coding RNAs in sepsis: a systematic review. Critical Care 20 (1), 383. Hon KL, Kung JSC, Wang Maggie, Leung TF (2016). Clinical scores of sleep loss/pruritus and antihistamine/topical corticosteroid usage for childhood eczema. British Journal of Dermatology. Zhenyu Xu, Jing Shen, Maggie Haitian Wang, Tao Yi, Yangyang Yu, Yinxin Zhu, Bo Chen, Jianping Chen, Longfei Li, Minxing Li, Jian Zuo, Hui Jiang, Dexi Zhou, Jiajie Luan & Zhangang Xiao (2016) Comprehensive molecular profiling of the B7 family of immune-regulatory ligands in breast cancer. OncoImmunology. Rui Sun, Qiao Deng, Inchi Hu, Benny C.Y. Zee, Maggie Haitian Wang* (2016) A clustering approach to identify rare variants associated with hypertension. BMC Proc. 2015;9 Suppl 8:S16. Weiqin Yang, Myth T. Mok, May S. M. Li, Wei Kang, Maggie Haitian Wang, Anthony W. Chan, Jian-Liang Chou, Jie Chen, Enders K. W. Ng, Ka F. To, Jun Yu, Michael W.Y. Chan, Francis K. L. Chan, Joseph J. Y. Sung, Alfred S. L. Cheng (2015) Epigenetic silencing of GDF1 disrupts SMAD signaling to reinforce gastric cancer development. Oncogene. Wei-Qin Yang, May S.M. Li, Wei Kang, Li-Han Zeng, Haitian Wang, Anthony W. Chan, Enders K.W. Ng, Ka F. To, Francis K.L. Chan, Jun Yu, Michael W.Y. Chan, Joseph J.Y. Sung, Alfred S.L. Cheng (2015). Reactivation of Growth/Differentiation Factor 1 Contributes to the Chemopreventive Effect of 5-aza-2’deoxycytidine in Gastric Cancer. Clinical Gastroenterology and Hepatology, 1(13), 214. Marc Chong, Kelvin Tsoi, Maggie Haitian Wang, Benny Zee, Fung Hong, EK Yeoh, Eliza Wong, Carrie Yam, Patsy Chau, Colin Graham (2015). Using a System Dynamic Model to Evaluate the Patient Flow in an Emergency Department of Hong Kong. IEEE International Congress on Big Data 2015. Accepted. Xin Lai, Liu Liu, Paul B.S. Lai, Kelvin Tsoi, Maggie Haitian Wang, Ka Chun Chong and Benny Zee. Risk-adjusted Monitoring Method for Surgical Data Methodology for Data Analytics (Work in Progress) IEEE International Congress on Big Data 2015. Accepted. Jin Shen, William K.K. Wu, Maggie H. Wang, Ka F. To, Yangchao Chen, Zhanggang Xiao, May S.M.Li, May S.M. Li, Joanna H. Tong, Wei Kang, Lin Zhang, Lin Wang, Lan Lu, Ruby L.Y. Chan, Jun Yu, Francis K.L. Chan, Joseph J.Y. Sung, Alfred S.L. Cheng, Chi H. Cho (2014) Epigenetic silencing of miR-490-3p reactivates the chromatin remodeler SMARCD1 to promote Helicobacter pylori-induced gastric carcinogenesis. Cancer Research. canres.1301.2014. Lai He+, Jin Zhao+, Maggie Haitian Wang+, Kenny KY Siu, Yong-Xia Gan, Lin Chen, Albert WN Leung, Hsiang-Fu Kung, Benny Zee, Zheng-Rong Yang, Ming-Liang He (2014) Interleukin-27 (IL-27) differentially associated with HIV viral load and CD4+ in HIV monoinfected and HIV/HCV coinfected groups . PLoS ONE, V9(5), e96792. XIE Chen; WANG Zhijun; WANG Charles; XU Jun; WEN Zhining; WANG Haitian; SHI Leming; CHOW S.s. Moses; HUANG Ying and ZUO Zhong. (2013) Utilization of Gene Expression Signature for Quality Control of Traditional Chinese Medicine Formula Si-Wu-Tang. The AAPS Journal vol.15 no.3, pp.884-892. United States of America, 2013.05.24. Chun-Li Wu+, Juan Lu+, Maggie Haitian Wang+, Xing Lv, Ying Chen, Xin Wang, Hsiang-fu Kung, Benny Zee, Xiao-wen Cheng, Ming-Liang He (2013) Cross sectional survey of influenza antibodies before and during the 2009 pandemic in Shenzhen, China. PLoS ONE 8(1): e53847. doi:10.1371/journal.pone.0053847. Nathan Tintle, Hugues Aschard, Inchi Hu, Nora Nock, Haitian Wang and Elizabeth Pugh (2011) Inflated Type I Error Using Aggregation Methods for Rare Variant Data. Genetic Epidemiology, 35, S8. Haitian Wang, Chien-Hsun Huang, Tian Zheng, Shaw-Hwa Lo and Inchi Hu (2011) New Insights on Old Methods in Identifying Causal Rare Variants, BMC Proceedings. 5 Suppl 9: S50. Michael Agne, Chien-Hsun Huang, Inchi Hu, Haitian Wang, Tian Zheng and Shaw-Hwa Lo (2011) Identifying influential regions in extremely rare variants using a fixed-bin approach, BMC Proceedings. 5 Suppl 9: S3.